Warning: Game of Thrones spoilers below, if you aren't caught up on the TV show. We think it’s safe to say that Game of Thrones has become an unequivocal phenomenon over the last five years. The popular HBO series has taken on a life of its own, and in many ways exists in its own distinct world from George R.R. Martin’s source material. That being said, events that occurred during Season 5 of Game of Thrones may in fact have an influence on how Martin proceeds with future Game of Thrones literary material. 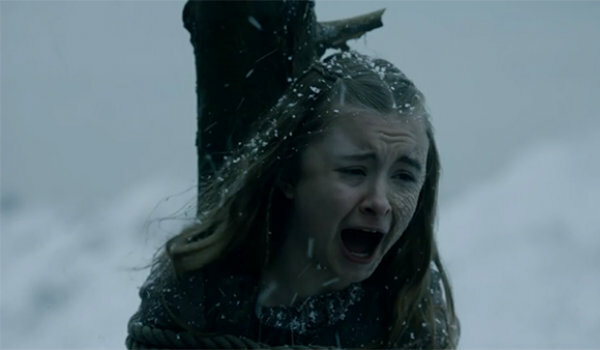 Apparently, Shireen was always meant to be sacrificed to the Lord of Light. In the Game of Thrones: The Complete Fifth Season Blu-ray set, there's a segment featuring footage from A Song of Ice and Fire series writer George R.R. Martin, who notes "his intention" has always been that Shireen would be sacrificed by her father, Stannis Baratheon, and burnt alive. As noted by Den Of Geek, the idea was already there when Season 5 was written. The show left Stannis in the lurch and stuck on the wrong side of Brienne's cold, hard sword. However, in the books, things have gone down differently, leaving plenty of room for Shireen to potentially still bite the dust. The interesting thing to note about that scene is that it has not occurred in A Song of Ice and Fire, at least not yet. Season 5 of Game of Thrones deviated from the source material on numerous occasions; that particular scene represented a distinct moment where the folks at HBO decided to do something that had not yet happened anywhere in the books. George R.R. Martin has had meetings with the showrunners on the HBO series, and clearly got on the same page about where the books and TV show should be going ahead of time. But don't blame Dan Weiss and David Benioff for that grisly scene; blame George R.R. Martin himself. Different authors often take different approaches to their adapted material. While George R.R. Martin sees some degree of give and take between his work and the Game of Thrones TV series, other writers don’t share the same degree of flexibility. For example, The Walking Dead television series has begun to take a much more faithful approach to its stories – adapting much of its content straight from the source material. However, series creator Robert Kirkman has stated numerous times that he has no intention of ever incorporating certain popular elements from the television series (such as lovable redneck Daryl Dixon) into his graphic novels; he enjoys keeping the world separate. We will just have to wait and see how this scene pans out when George R.R. Martin finally decides to incorporate it into A Song of Ice and Fire. In the meantime, Game of Thrones Season 6 will premiere on April 24 at 9 p.m. ET.